Visit Abex's New Website and Enter Our 'Name the Ostrich' Contest - ABEX Affiliated Brokers Exchange Inc.
ABEX is very happy to share our fun and informative new website with you! 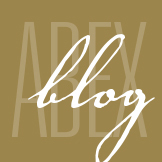 This is an exciting new place for us to keep in touch with you and offer you regular updates on what’s new at ABEX. We have a great way to kick-off our new website and offer you a chance to win a cool prize: BlackBerry PlayBook. How would you like to go down in history as the person who named our mascot, the ostrich? Here’s your chance. We’d like a name that’s as fun and quirky as our website, and well, as our ABEX team, of course. We’d love to see all the creative ideas out there and have some fun as we come up with a distinctive name for the ostrich. Visit ABEX’s new website and email us or post your suggestions on our Facebook page by February 28, 2013 for your chance to win! If your suggestion is chosen, you may win a BlackBerry PlayBook. Also, everyone who submits a suggestion will be entered into a draw to receive a $25 gift certificate from Tim Horton’s. Click here for more information and for contest rules. John fro our office suggested Oscar the Ostrich. I like Austin the Ostrich. He definately looks like an “Oliver”, refined & sophisticated with a British accent….ha ha ha!!! “Abrich” sounds good! Everyone else is doing it… Abex + Ostrich. ‘Ozzy’ the Ostrich. We all know how crazy Ozzy Osbourne was!